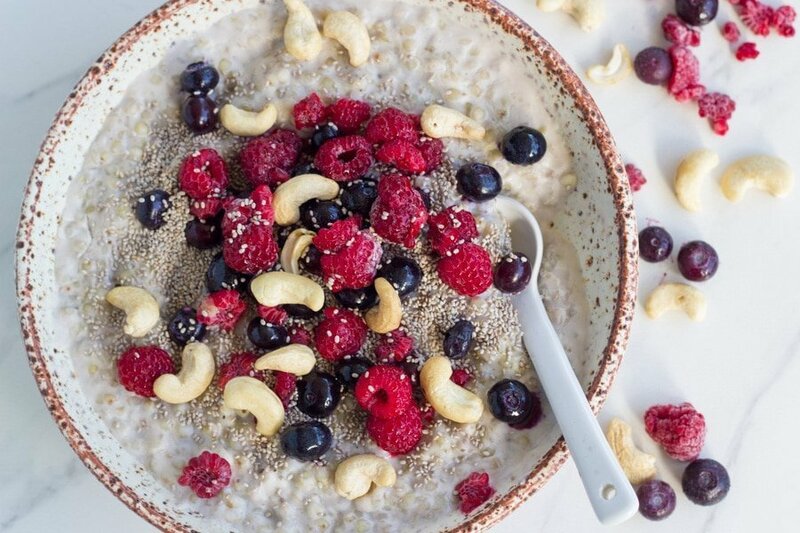 This berry buckwheat porridge has become a regular addition to my breakfast menu. 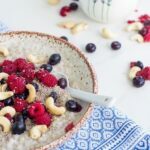 It is the perfect winter breakfast and I have included both the stove top and thermomix methods. 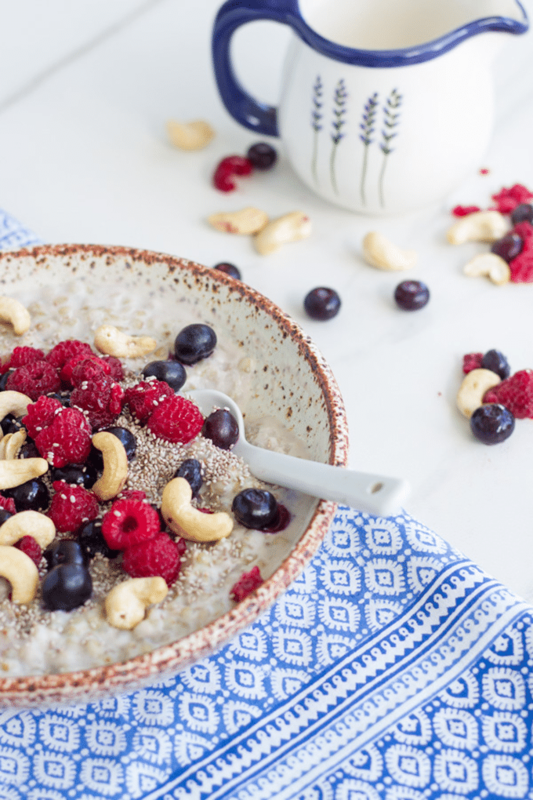 I have been making this berry buckwheat porridge in my Thermomix for a few weeks now and it has become a regular addition to my breakfast menu. 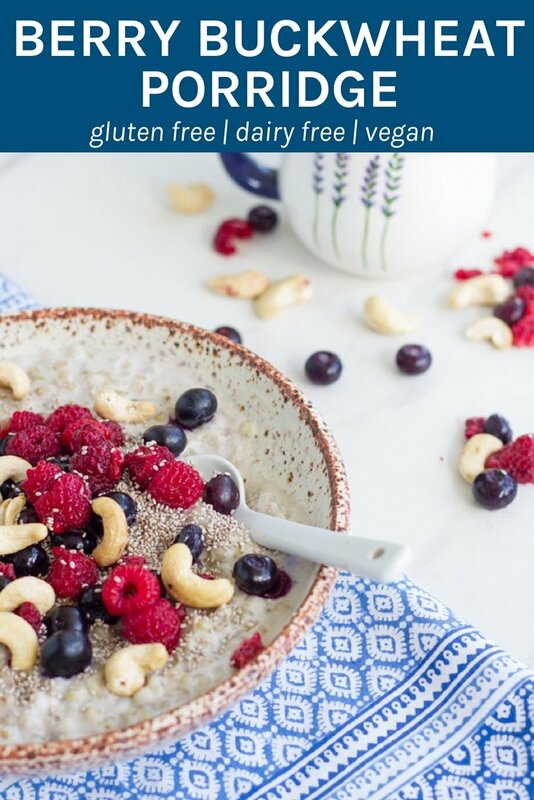 I first saw a yummy buckwheat porridge recipe over at the Merrymaker Sisters and knew that I had to try it. It was delish! So, I decided to make a Thermomix version that would cook while I was getting the kids and I ready in the morning. It does take around 25 minutes to make, but as you don’t need to do much else thanks to the amazingness of the Thermomix, you can just ready while it cooks. Seems to be working ok for me!! If you don’t own a Thermomix, then I have included a stove-top method for you. But you will need to make sure you stir it a few times while it is cooking. You could also make this the night before, if you are short on time in the morning. Refrigerate over night, then heat up the next morning and add your toppings. Add all the ingredient to small saucepan (uncovered) and cook on low for 25-30 minutes, stirring occasionally, until the buckwheat is nice and soft.